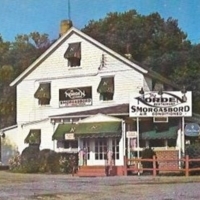 Exterior view of the Norden Restaurant. 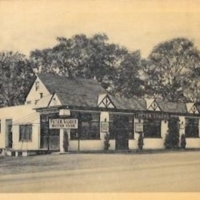 Printed text on verso provided brief details about the restaurant. 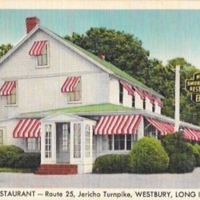 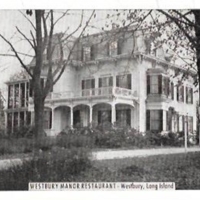 Norden Restaurant – Route 25, Jericho Turnpike, Westbury, Long Island, N.Y. 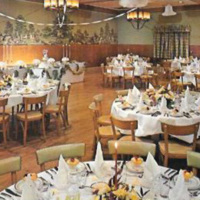 The Oak Room at William Rueck’s New Hyde Park Inn, New Hyde Park, L.I. 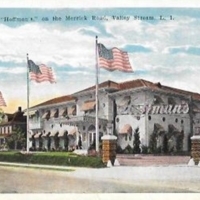 Exterior “Hoffman’s,” on the Merrick Road, Valley Stream, L.I. 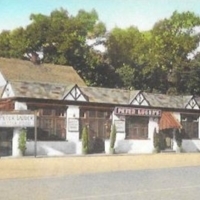 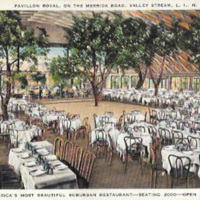 Pavillon Royal, On the Merrick Road, Valley Stream, L.I., N.Y.
Advertising postcard with exterior view of Pierre’s Restaurant. 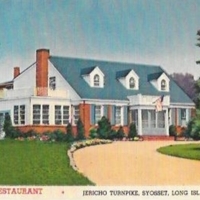 Printed text on verso provides brief details about the restaurant.